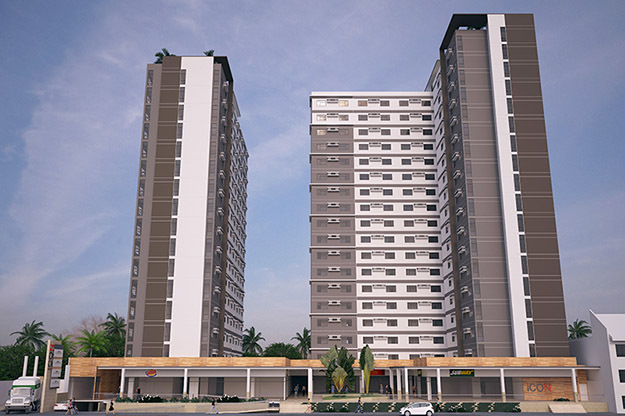 CEBU CITY (Feb. 20, 2016) — Cebu Landmasters, Inc. (CLI) has opened for pre-selling the second tower of Casa Mira Towers, an economic residential condominium project of the company at the southern outskirts of this city. Tower 2 will have 19 storeys offering 414 units with studio and 1-bedroom type layouts. “CLI is confident that it will sell as quick as the first tower considering its premium location and its attractive price,” she noted. Yulo indicated that the company will start the construction with the groundbreaking no later than April this year. “We should be turning over the condo units no later than the fourth quarter of 2018”, she added. CLI is converting the compound in Labangon where it currently holds office with its sister export company, AB Soberano International Corp. (ABS), into a 2 tower residential condominium – Casa Mira Towers. Tower 1 is composed of all studio units at 20-sqm each. “It is designed for the economic market, offering the Cebuanos a practical living space that allows a quick and a short distance travel to and from work,” quipped CLI CEO Jose R. Soberano III. The name Casa Mira, which means “Wonderful House” in Portuguese, is an offshoot of CLI’s very successful Casa Mira Linao subdivision, a well-planned community of townhouses for the economic market located in Linao, Minglanilla, Cebu. This entry was posted on February 20, 2016 by Cerwin in Cebu Landmasters and tagged AB Soberano, Casa Mira, Casa Mira Towers, Cebu Landmasters, Cebu property, economic housing, Labangon, Linao, Minglanilla, real estate, Wonderful House.